The Board of Control for Cricket in India (BCCI) has announced its association with Tata Nexon as the Official Partner for the VIVO Indian Premier League 2018. The 2018 VIVO IPL begins on April 7, 2018. This association, which is for next three years, will provide Tata Motors to derive great synergies using the platform of IPL to provide a unique and differentiated experience to its customers as stated by the company in its press statement. According to Tata Motors, they will leverage the Vivo IPL 2018 platform to showcase the new NEXON in the stadium, across all matches, with exciting on-ground engagement plans and merchandise. 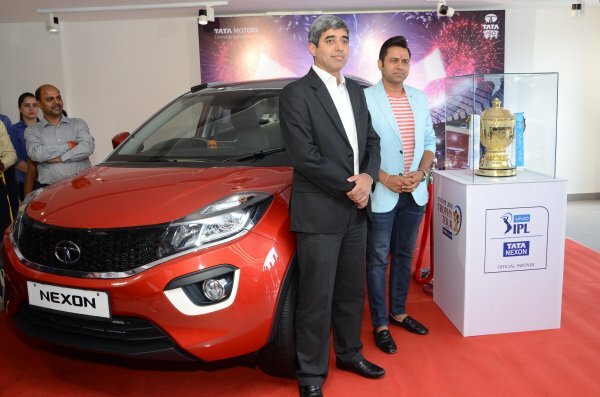 The matches will witness unique engagement activities like the Tata Nexon Super Striker – the best striker of the match/tournament stands a chance to win daily and season award. The striker of the tournament will win a Tata Nexon. The Tata Nexon Fan Catch on the other hand is an engagement plan with fans where anyone who takes a single-handed catch in a match stands a chance to win INR 1 lakh and the season winner gets a Nexon. Tata Nexon will also leverage the 36 city, Fan Park events for experiential and engaging brand experience.